Photo of HPRR Doodlebug Wins Photo Award — Highland Park Society of Model Railroad Engineers, Inc.
A miniature picture of Doodlebug at Bayshore has won an Honorable Mention Award for Arie Korporaal. 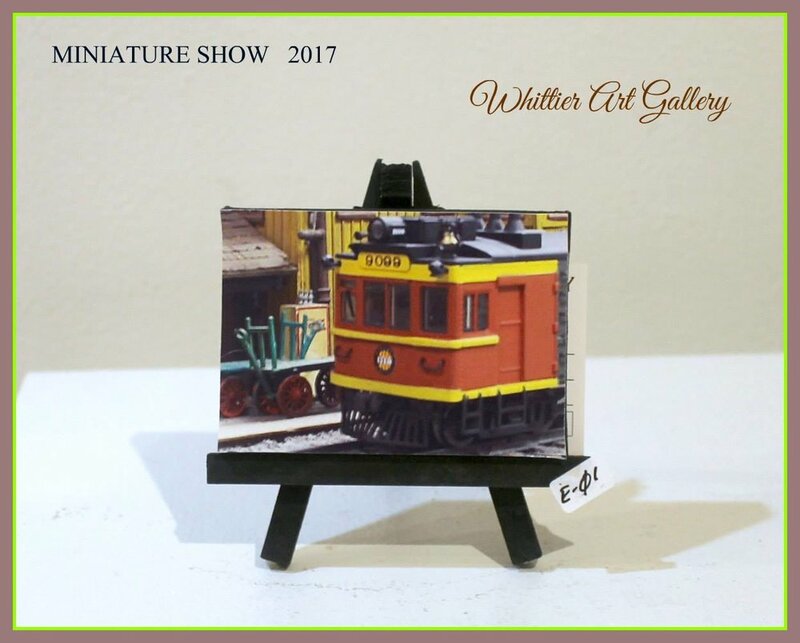 The miniatiue print, mounted on an easel, won the award in the Photography category at the Whittier Art Gallery Miniature Show. Arie has won awards in the same show 3 years in a row, all images were taken on the club's layout and feature Bayshore Depot, Greely Diesel Facility, and this of James Keena's HPRR Doodlebug.